My Image is to be created and a Medal struck where, on one side, I am to be placed with the sun behind my head and where twelve stars woven into a crown of thorns sits on my head. 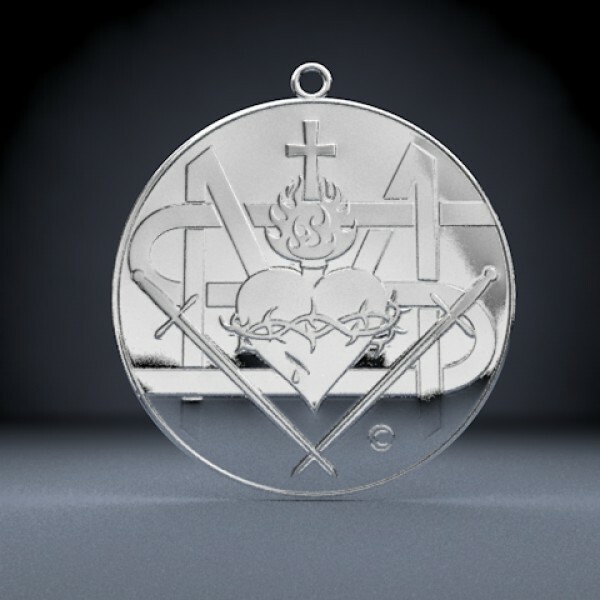 On the reverse side of the Medal, I wish to depict the Sacred Heart of my Son with the Two Swords of Salvation, which are to be crossed on each side.The Swords of Salvation will have a dual purpose. The First Sword will slay the beast and I have been given the authority to do this on the Final Day. The other Sword will pierce the hearts of the most harden-ed sinners and will be the Sword by which their souls will be saved. Crusade Prayer (115) For the Gift of Conversion: O Mother of Salvation, cover my soul with your tears of Salvation. Rid me of doubts. Lift my heart, so that I will feel the Presence of your Son.Bring me peace and solace. Pray that I will be truly converted.Help me to accept the Truth and open my heart to receive the Mercy of your Son, Jesus Christ. Amen. My child, please have this Medal designed and made. I will guide you every step of the way and then you must ensure that it is made available throughout the world. Go in peace to serve my Son.